Federal Premium ammunition is some of the most technologically advanced sporting ammo on the market today. 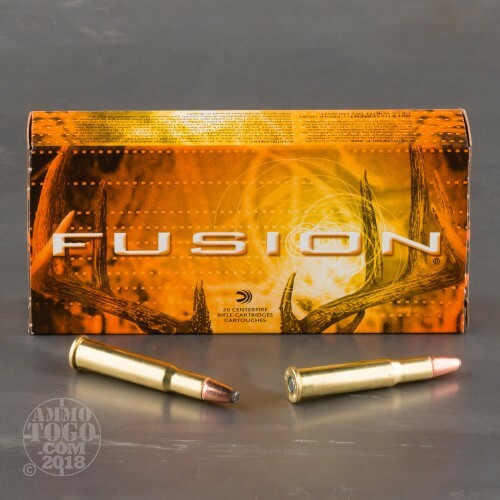 Developed specifically for hunting whitetail deer, Federal Premium Fusion offers generous expansion and superb weight retention. Using an electrochemical bonding process, Federal Premium Fusion joins pure copper to an extreme pressure-formed core. The result is a projectile with high terminal energy released on impact which radiates lethal shock through the target. 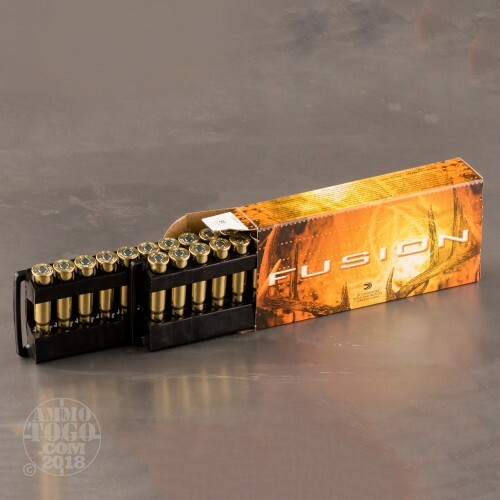 This package contains 20 rounds of Federal Fusion .30-30 ammunition. Each round is loaded with a 150 grain flat nose soft point projectile. Engineered with a unique skiving design, these loads provide excellent long-range expansion while maintaining short range toughness. 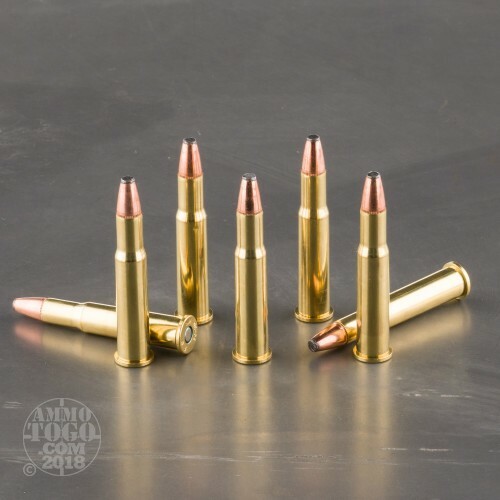 This ammunition is factory fresh, non-corrosive, Boxer primed, and features reloadable brass casings. Each round delivers a consistent muzzle energy of 2390 feet per second with 1902 foot pounds of energy. 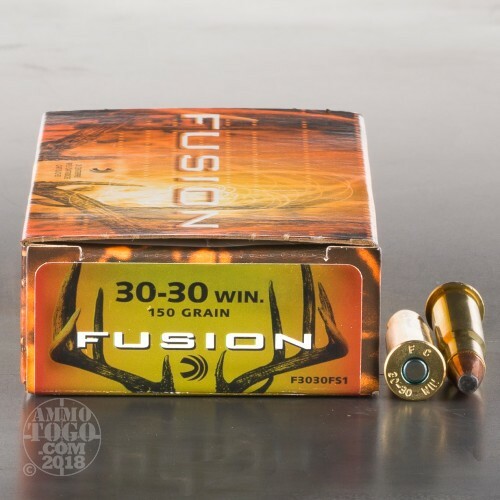 With a sleek profile and precisely balanced center of gravity, these rounds provide excellent ballistics and minimized drop over distance. The result is extreme long-range accuracy and impressive game-dropping terminal performance.